BWV47 Wer sich selbst erhöhet, der soll erniedriget werden is consistently fine despite the fact that its three middle movements are based on a nugatory text from a cycle by Johann Friedrich Helbig, court official in Eisenach. At times it descends into pure doggerel; no wonder Bach (unlike Telemann) set Helbig’s words to music only this once. It was first performed on 13 October 1726. It opens by quoting St Luke, and the concluding homily from the parable against pride in the second part of the Gospel reading, ‘for whosoever exalteth himself shall be abased; and he that humbleth himself shall be exalted’. Whittaker claims that Bach wrote few choruses ‘as mighty and monumental’ as this opening movement, and one can hardly argue with that. It starts as a speeded up variant of the C minor organ prelude (BWV546) transposed up a fifth, with curt antiphonal exchanges between the strings and the pair of oboes, but it is not until bar 186, when it is assigned to the chorus in block harmony, that you understand firstly how its initial shape responds to the natural stresses of the Spruch, and secondly how its continuation (in the oboes at bar 12) forms the core of a fugal subject that rises to fill the puffed-out chest of the man ‘who exalteth himself’ and will later descend at the moment of his come-uppance. The second clause (concerned with the humble) acts as a counter-subject and concludes with its own smoothly rising phrase (‘shall be exalted’). There are striking episodes, reversals of the voice entries in the twin expositions, homophonic ‘summings up’ and a final return to the elaborate opening ritornello with the addition of the choir in a restatement of the complete text. This may not be the most attractive or easily assimilated of Bach’s opening choral fugues, but it grows on one, and by the encore of the second concert it had registered its considerable power with all the performers and (one sensed) with the listeners. The second movement is a soprano da capo aria in D minor with organ or, for a later revival, violin obbligato, and it was this version that we chose to perform, calling for extremes of poetic lyricism in the first part and bravura in the second. Its theme is a simple contrast between Christian humility and devilish pride. 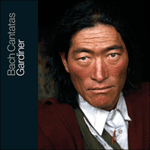 It is not certain that Bach included it at the cantata’s first outing in 1726. Perhaps he tried it out and discarded it at the eleventh hour when the performers fell short of its taxing demands. This might also explain why the subsequent movements appear to go over the same ground; indeed, you could remove this aria and the cantata’s narrative would still cohere. But what a loss that would be! The violin is assigned a fluttery, kite-like figure in the first section which seems at first to be purely decorative, but which acquires on greater acquaintance the elusive attributes of humility that Christians are required to follow. Then for the B section Bach writes staccato double-stopping for the violin to evoke devilish ‘Hoffart’ (haughtiness or arrogance) and ‘Stolz’ (pride). With these harsh, stubborn broken chords (v – –) we seem suddenly close to the violin concertos of Bartók or Khachaturian. Meantime the soprano is locked into furious imitative exchanges with the bass line (‘Gott pflegt alle die zu hassen’ / God is wont to hate all those [who do not abandon their stubbornness and arrogance]’). This is a vividly theatrical portrayal of one of the worst of the deadly sins, guaranteed, you would think, to jolt the complacent listener out of his seat. The aria makes blindingly good sense, for once, of da capo form, its long A section an exposition of the need for humility, its B section a tirade denouncing the vice of arrogance. Then, purposefully, comes the return to A, its theme of ‘Demut’ drawing on all the self-abnegating qualities of the good chamber musician. The final play-out gives the most eloquent portrayal of humility imaginable, with harmony and figuration in creative symbiosis. How could the preacher compete with this? Well, he—or rather Bach on his behalf—tries, hampered not just by the overpowering eloquence of the preceding number but by the banality of a text beginning ‘Mankind is filth, stench, ash and earth’. Nevertheless this stentorian accompagnato for bass is one of Bach’s most elaborate and subtle pieces of musical sermonising, so much so that one easily sidesteps the verbal crudity to admire the care Bach lavishes on the smallest detail of verbal inflection: his autograph score shows, for example, how he sharpened the rhythm of the word ‘Teufelsbrut’ (‘devil’s brood’) to make its impact more abrupt and brutal. It is followed by an aria in E flat in which the same singer, now accompanied by violin and oboe obbligati, prays for humility ‘that I may not forfeit my salvation like Lucifer’. You get the feeling that his recurrent struggles with pride are being soothed—mitigated, even—by the instrumental duo, except at three points when they join him in his abomination of pride. Whittaker warns us not to make snap judgements condemning Bach for setting such ‘offensive’ texts. ‘The battle that Luther waged against unscrupulous enemies was used as a model by himself and his followers when considering the opposing elements within their own hearts, and the evil elements of the mixture of good and bad which is found in every one of us are addressed in the same terms as hostile powers, sacred or secular’. But is that the real point? What interests me more is the impact Bach’s music can have—his skill in overcoming the sheer nastiness of the text by organising his musical material to articulate its emotional content (this you can analyse, but in the process it will disappear like water between your cupped hands). He appears to invite us non-Lutherans into his orbit and to elicit from us a sympathetic response to the underlying homily, and to the nuance his music gives it, that excessive pride is unacceptable under any circumstances, that there is dignity, not just worthiness, in humility. Hegel attributed to music an ‘indeterminate content’, but for Mendelssohn (who knew Hegel) ‘it is not that music is too imprecise for words, but that it is too precise’. Bach seems to anticipate and substantiate Mendelssohn’s belief that music can unleash the central core of meaning so often obfuscated by words. Les trois mouvements centraux de Wer sich selbst erhöhet, der soll erniedriget werden, BWV47, reposent sur un texte de peu de poids provenant d’un recueil de Johann Friedrich Helbig, fonctionnaire à la cour ducale de Saxe-Eisenach. Celui-ci tourne parfois purement et simplement aux vers de mirliton; nul étonnement à ce que Bach (à la différence de Telemann) n’ait mis les paroles de Helbig qu’une seule fois en musique. Donnée pour la première fois le 13 octobre 1726, l’œuvre s’ouvre sur une citation de saint Luc, en l’occurrence l’homélie refermant la parabole contre l’orgueil, dans la seconde partie de la lecture de l’Évangile—«Qui lui-même s’élève, qu’il soit rabaissé, et qui lui-même s’abaisse, qu’il soit élevé». Whittaker affirme que Bach écrivit peu de chœurs «aussi imposants et monumentaux» que ce mouvement d’introduction, ce que l’on ne saurait que difficilement contester. Il commence telle une variante, sur tempo plus rapide, du Prélude en ut mineur BWV546 pour orgue transposé une quinte plus haut, avec de brusques échanges, à la manière d’un double chœur, entre les cordes et les deux hautbois, mais ce n’est qu’à la mesure 186, lorsqu’il revient au chœur en tant que «bloc harmonique» (écriture verticale ou homorythmique), que l’on comprend d’abord comment sa disposition initiale répond aux exigences naturelles du Spruch, ensuite comment sa continuation (aux hautbois, mesure 12) constitue le noyau d’un sujet de fugue s’élevant tandis que la poitrine de «qui s’élève lui-même» se gonfle de suffisance—avant de redescendre au moment où celui-ci reçoit sa juste «récompense». La seconde section de texte (au sujet des humbles) tient lieu de contre-sujet et se referme sur sa propre incise doucement ascendante («qu’il soit élevé»). On trouve là des épisodes marquants—renversements d’entrées vocales lors d’expositions parallèles, «résumés» homophoniques et retour ultime du ritornello élaboré d’introduction avec adjonction du chœur lors de la reprise du texte tout entier. Il se peut que ce ne soit pas la plus attractive ou la plus aisément assimilable des fugues chorales d’introduction de Bach, mais elle s’impose petit à petit, au point que lors du bis du second concert, elle eut un impact considérable tant sur les interprètes que (à ce qu’il sembla) sur les auditeurs. Le deuxième mouvement est un air de soprano à da capo en ré mineur avec orgue ou, lors d’une reprise ultérieure, violon obligé—cette version invite à déployer des trésors de lyrisme et de poésie dans la première partie mais aussi de bravoure dans la seconde. Son thème est en forme de simple contraste entre l’humilité chrétienne et l’orgueil diabolique. Il n’est pas certain que Bach l’ait inséré dans sa Cantate lors de la première audition, en 1726. Peut-être l’essaya-t-il avant de la mettre de côté au dernier moment, les interprètes s’étant sentis dépassés par ses exigences. Cela pourrait expliquer pourquoi le mouvement suivant semble rester sur le même terrain; en fait, si l’on retirait ce mouvement, la Cantate, sur le plan narratif, n’en perdrait pour autant sa cohérence. Mais quelle perte ce serait! Au violon échoit une figure planante, comme un battement d’ailes, qui de prime abord semble purement décorative mais qui, à mieux y regarder, se pare des insaisissables attributs de l’humilité que les chrétiens sont invités à observer. Puis dans la section B, Bach déploie une partie de violon en doubles cordes pour évoquer les diaboliques Hoffart (arrogance ou présomption) et Stolz (orgueil). Avec ces accords brisés rudes et obstinés (v – –), on se sent soudain très proche des concertos pour violon de Bartók et de Khatchaturian. Entre-temps, le soprano se lance dans de furieux échanges imitatifs avec la basse («Gott pflegt alle die zu hassen»—«Dieu a coutume de haïr tous ceux [qui ne renoncent à leur entêtement et à leur arrogance]»). C’est là une représentation hautement théâtrale du pire des péchés mortels, de quoi faire sursauter, ne peut-on s’empêcher de penser, le paisible auditeur sur son siège. L’air donne pour une fois tout son sens au système du da capo, sa longue section A développant le besoin d’humilité tandis que sa section B offre une véhémente dénonciation de ce vice qu’est l’arrogance. Après quoi, comme il se doit, on s’en revient à la section A, le thème de la Demut (humilité, soumission) faisant appel à toutes les qualités d’abnégation d’un bon musicien de chambre. La péroraison offre la représentation la plus éloquente de l’humilité que l’on puisse imaginer, harmonie et figuration se trouvant en parfaite symbiose. Comment un prédicateur pourrait-il dès lors rivaliser? Pourtant, il—ou plutôt Bach en son nom—s’y emploie, embarrassé non seulement par l’écrasante éloquence de la page précédente mais aussi par la banalité d’un texte commençant ainsi: «L’être humain est fange, puanteur, cendre et terre». Ce sonore récitatif de basse en forme d’accompagnato n’en constitue pas moins l’un des sermons en musique de Bach parmi les plus élaborés et les plus subtils, à tel point que l’on met aisément de côté la crudité du texte pour admirer le soin que Bach apporte au moindre détail de l’inflexion verbale: sa partition autographe montre, par exemple, comment il aiguise le rythme du mot Teufelsbrut («engeance du démon») pour en rendre l’impact encore plus abrupt et brutal. Lui fait suite un air en mi bémol dans lequel le même chanteur, maintenant accompagné d’un violon et d’un hautbois obligés, implore humblement «Que par ma faute je ne perde mon salut / comme le premier feu de l’enfer». On a peu à peu le sentiment que sa lutte récurrente avec l’orgueil finit par s’apaiser—ou même s’estomper—à travers le duo instrumental, à l’exception des trois endroits où ils le rejoignent dans son abomination de l’orgueil. Whittaker nous met en garde devant tout jugement hâtif qui condamnerait Bach pour avoir mis en musique des textes aussi «vindicatifs». «La bataille que Luther avait engagée contre des ennemis sans scrupules fut reprise par lui-même et ses successeurs tel un modèle dans leur confrontation avec les éléments contraires en leur propre cœur, les éléments néfastes, dans ce mélange de bien et de mal que l’on trouve en chacun de nous, étant qualifiés des mêmes termes de puissances hostiles, sacrées ou profanes». Mais est-ce bien là l’essentiel? Ce qui m’intéresse le plus, c’est l’impact que peut avoir la musique de Bach—l’adresse qu’il déploie pour dépasser l’indéniable médiocrité du texte en organisant son matériau musical de manière à en articuler le contenu émotionnel (que l’on peut certes analyser mais qui, en cours de route, risque de disparaître comme de l’eau dans le creux des mains). Il semble, nous qui ne sommes pas luthériens, nous inviter dans son univers et susciter en nous une réponse positive envers l’homélie sous-jacente, et la manière dont sa musique l’infléchit—à savoir que cet excès d’orgueil est en toutes circonstances inacceptable, quand il y a de la dignité, pas seulement du mérite, dans l’humilité. Hegel reconnaissait à la musique un «contenu indéterminé», mais pour Mendelssohn (qui connaissait Hegel) «ce n’est pas que la musique soit trop imprécise pour les mots, mais au contraire trop précise». Bach semble anticiper et justifier cette conviction de Mendelssohn que la musique peut révéler l’essence même de significations si souvent obscurcies pas les mots. Die in sich stimmigste und schönste dieser Kantaten ist BWV47 Wer sich selbst erhöhet, der soll erniedriget werden, und dies ungeachtet der Tatsache, dass ihre drei Mittelsätze auf einem belanglosen Text aus einer Sammlung von Johann Friedrich Helbig stammen, der Regierungssekretär am Eisenacher Hof war. Die Reime sind manchmal so holprig, dass es kein Wunder ist, wenn Bach Texte von Helbig (im Gegensatz zu Telemann) nur einmal vertont hat. Das Werk wurde am 13. Oktober 1726 aufgeführt. Es beginnt mit einem Zitat aus dem Lukas-Evangelium, dem Spruch im zweiten Teil des Evangelientextes, mit der Jesus seine Predigt über den Stolz beschließt: „Denn wer sich selbst erhöht, der wird erniedrigt; und wer sich selbst erniedrigt, der wird erhöht“. Whittaker ist der Auffassung, Bach habe wenige Chöre geschrieben, die so „mächtig und monumental“ wie dieser Anfangssatz seien, und man wird ihn kaum widerlegen können. Er beginnt als beschleunigte und eine Quinte nach oben transponierte Variante des Orgelpräludiums in c-Moll (BWV546) und einem kurzen antiphonischen Austausch zwischen den Streichern und dem Oboenpaar, aber erst in Takt 186, wenn diese Variante mit Blockharmonien vom Chor vorgetragen wird, begreift man, wie sehr ihre ursprüngliche Form die natürlichen Akzente des Spruchs berücksichtigt und dass ihre Fortsetzung (durch die Oboen bei Takt 12) das Zentrum eines Fugenthemas ist, das aufsteigt, um die aufgeblasene Brust dessen zu füllen, der „sich selbst erhöht“, und später wieder absteigt, wenn er seine wohlverdiente Strafe erhält. Der zweite Halbsatz (der sich mit dem Demütigen befasst) fungiert als Gegenthema und schließt mit einer eigenen sanft aufsteigenden Phrase („wird erhöht“). Eindrucksvolle Episoden sind hier vorhanden, Umkehrungen der stimmlichen Einsätze in den doppelten Expositionen, homophone „Resumees“ und eine abschließende Rückkehr zu dem ausgefeilten Eingangsritornell mit zusätzlichem Chor, der noch einmal den gesamten Text wiederholt. Das mag nicht die attraktivste oder eine leicht zugängliche der Choralfugen sein, mit der Bach seine Kantaten eröffnet, doch sie gewinnt, je vertrauter man mit ihr wird, und bei der Wiederholung im zweiten Konzert hatte sie ihre beträchtliche Macht auf alle Mitwirkenden und, so hatten wir den Eindruck, auch auf die Zuhörer ausgedehnt. Der zweite Satz ist eine Da-capo-Arie für Sopran in d-moll mit Orgel oder, bei einer späteren Wiederaufnahme, obligater Violine, und letztere Version war es, mit ihrer äußerst kontrastreichen poetischen Lyrik im ersten und Bravour im zweiten Teil, die wir aufzuführen beschlossen. Das Thema ist ein einfacher Gegensatz zwischen christlicher Demut und teuflischem Hochmut. Es ist nicht sicher, ob Bach diese Arie bei der ersten Aufführung des Werkes 1726 einbezogen hatte. Vielleicht hatte er es versucht und dann im allerletzten Augenblick verzichtet, weil die Interpreten den hohen Ansprüchen nicht gewachsen waren. Das mag auch eine Erklärung dafür sein, warum die folgenden Sätze offensichtlich das gleiche Material verwenden. In der Tat könnte man diese Arie weglassen, und die narrative Entwicklung der Kantate bliebe trotzdem unangetastet. Doch welch ein Verlust wäre das! Der Violine ist im ersten Abschnitt eine vibrierende, wie ein Papierdrachen schwebende Figur zugewiesen, die zunächst rein dekorativ zu sein scheint, doch bei näherer Bekannt schaft die schwer zu fassenden Attribute der Demut erlangt, der sich Christen befleißigen sollen. Im B-Teil lässt Bach dann in den Staccato-Doppelgriffen der Violine die „Hoffart“ und den „Stolz“ des Teufels anklingen. Mit diesen rüden, widerborstigen gebrochenen Akkorden (v – –) scheinen wir uns plötzlich in der Nähe der Violin konzerte Bartóks oder Chatschaturjans zu befinden. Unterdessen sitzt der Sopran in einem wütenden imitierenden Austausch mit der Basslinie gefangen („Gott pflegt alle die zu hassen / die den Stolz nicht fahren lassen“). Es ist eine lebendige und theatralische Schilderung einer der schlimmsten der Todsünden, und sie bietet die Garantie dafür, so möchte man meinen, dass der selbstgefällige Hörer von seinem Stuhl hoch schreckt. Die Arie ist in ihrer Da-capo-Form äußerst sinnreich angelegt—der lange A-Teil legt dar, warum Demut so unabdingbar nötig sei, während die Schimpf kanonade des B-Teils das Laster des Hochmuts brandmarkt. Dann folgt zielstrebig die Rückkehr zum A-Teil, dessen Thema der „Demut“ auf all die selbst verleugnerischen Eigenschaften verweist, die einen guten Kammermusiker kennzeichnen. Die abschließende Endausscheidung gibt die eloquen teste Schilderung der Demut, die man sich vorstellen kann—Harmonie und Figuration in schöpferischer Symbiose. Wie sollte ein Prediger damit konkurrieren können? Nun ja, er—besser gesagt Bach in seinem Namen—versucht es, behindert nicht durch die überwältigende Eloquenz der vorherigen Nummer, sondern durch die Banalität eines Textes, der mit den Worten beginnt: „Der Mensch ist Kot, Stank, Asch und Erde“. Gleichwohl ist dieses stimmgewaltige Accompagnato für Bass eines der kunstreichsten und feinsinnigsten Stücke musikalischer Moralpredigten Bachs, in einem Maße, dass man leicht über den ungeschliffenen Text hinwegsehen kann und die Sorgfalt bewundert, die er der kleinsten Veränderung im Tonfall angedeihen lässt: Das Autograph der Partitur zeigt zum Beispiel, wie er den Rhythmus des Wortes „Teufelsbrut“ verschärfte, um es schroffer und roher wirken zu lassen. Diesem Rezitativ folgt eine Arie in Es, in welcher derselbe Sänger, nun von obligater Violine und Oboe begleitet, um die Demut bittet, „dass ich nicht mein Heil verscherze wie der erste Höllenbrand“. Man bekommt den Eindruck, dass dieses wiederkehrende Ringen mit dem Stolz durch das instrumentale Duo gedämpft—gar entschärft—wird, die drei Stellen ausgenommen, wo die Instrumente seinen Abscheu vor dem Stolz teilen. Whittaker ermahnt uns, Bach nicht übereilt zu tadeln, weil er so „ausfällige“ Texte vertont habe. „Der Kampf, den Luther gegen gewissenlose Feinde auf nahm, diente ihm selbst und seinen Anhängern als Richtschnur für den Umgang mit den widerstreitenden Kräften in ihrem eigenen Herzen, und in gleicher Weise werden die negativen Kräfte in dieser Mischung aus Gut und Böse, die in jedem von uns vorhanden sind, als feindliche Mächte behandelt, geistlicher oder weltlicher Natur.“ Aber ist das wirklich der Punkt? Was mich interessiert, ist die Wirkung, die Bachs Musik haben kann—sein Geschick, der absoluten Hässlichkeit eines Textes Herr zu werden, indem er sein musikalisches Material so gestaltet, dass es den emotionalen Inhalt (den man zwar analysieren kann, der dabei aber wie Sand zwischen den Händen zerrinnt) zum Ausdruck bringt. Er scheint auch Nicht-Lutheraner in seinen Wirkungskreis einladen und sie zu einer teilnahmsvollen Reaktion auf die zugrunde liegende Predigt bewegen zu wollen, auf die Nuance, die seine Musik ihr gibt: dass übermäßiger Stolz unter keinerlei Umständen zu akzeptieren sei, dass Demut Würde besitze, nicht nur Wert. Hegel schrieb der Musik eine „gegenstandslose Innerlichkeit“ zu, Mendelssohn hingegen (der Hegel kannte) kam zu dem Schluss: „Die Ideen, die durch die Musik […] ausgedrückt werden, sind nicht zu vage, um in Worte übersetzt zu werden, sondern im Gegenteil zu präzise“. Bach ist Mendelssohns Auffassung, Musik könne die Kernbedeutung zum Vorschein bringen, die von Worten so häufig verschleiert wird, offensichtlich zuvorgekommen und hat ihr konkrete Gestalt gegeben. und wer sich selbst erniedriget, der soll erhöhet werden. so den Stolz nicht fahren lassen. humility springs from the kingdom of Jesus. who do not abandon their arrogance. Gehört sich das für einen Christen? and you, you wretched worm, you would boast? Is that seemly for a Christian? prostrate yourself before God with faithful spirit! In His time He shall exalt you again. that I may be pleasing to Thee! through Thy harsh and bitter death. This I beg of Thee, my Lord and God.